Julie lives with her tribe of children in southern Maine. 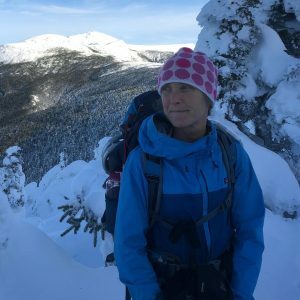 She enjoys gardening, cooking, hiking, snowshoeing, running, dabbling in winter tracking, creating essential oil concoctions, and volunteering in the York schools. From a young age Julie found solace in the outdoors and shared many adventures with her father in the White Mountains. Julie has instilled the importance of the outdoors into her own family and loves making fairy houses, mud pies, creating shelters and climbing mountains with her children.